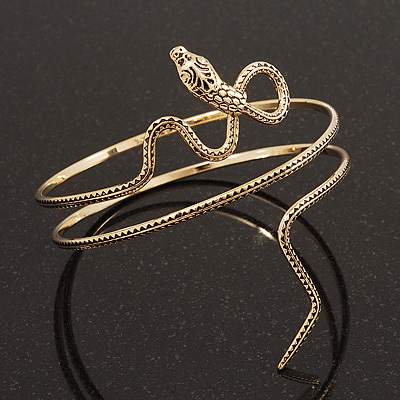 Upper Arm Bracelets or Armlets are the type of bracelets that are worn on the upper part of an arm, above elbow and usually closer to the shoulder. 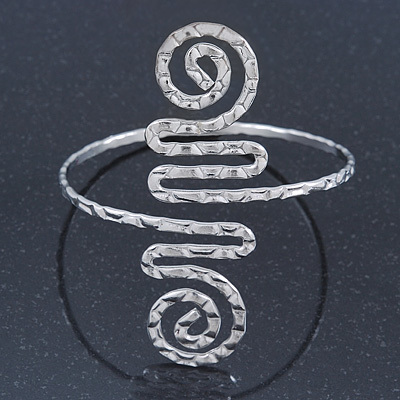 The armlets are usually made like bangles - using rigid design so that it will hold in place without moving about too much. 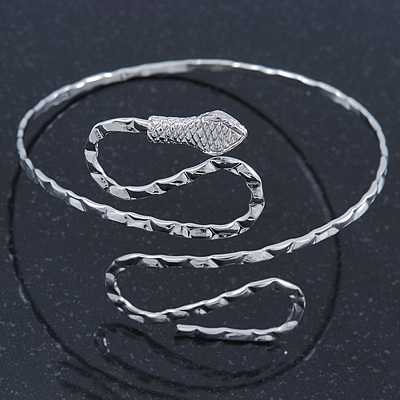 Armlets are usually adjustable so that the wearer can fit to the exact size of the upper arm as it is important that it will not be too loose as otherwise it would slide down the arm. 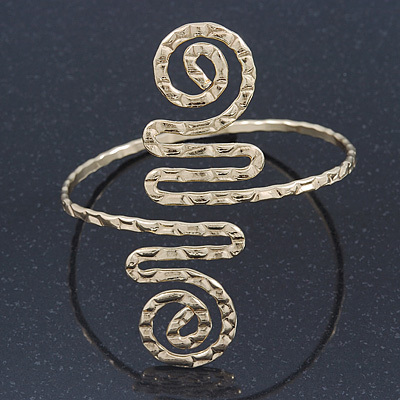 Armlets, Upper Arm Bracelets, Arm Rings, Upper Arm Bangles, Armbands are just the different names for the same type of jewellery. 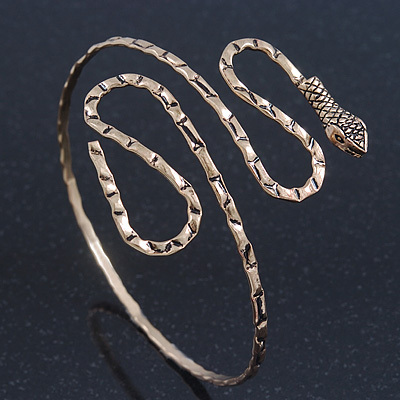 Upper Arm Bracelets have their roots in the ancient history, when they have been mostly shaped like a snake and worn my Greeks, Indonesians and other cultures. In the modern days Armbands are gaining more and more popularity among women of various cultural backgrounds. 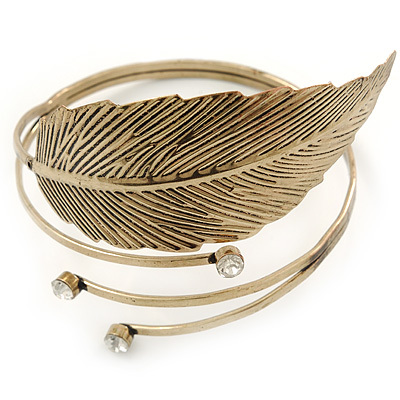 Armlets are best worn with the strap dresses or with very short sleeve dresses. 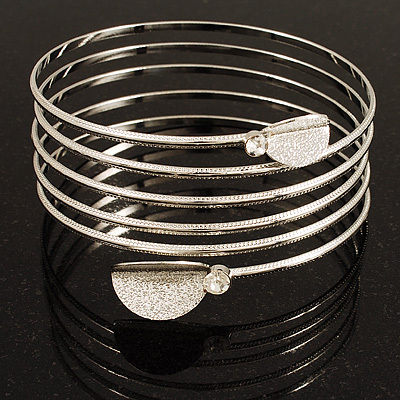 Many women buy Upper Arm Bracelets to match their wedding dress. Another good match would be an evening dress or a cocktail dress. 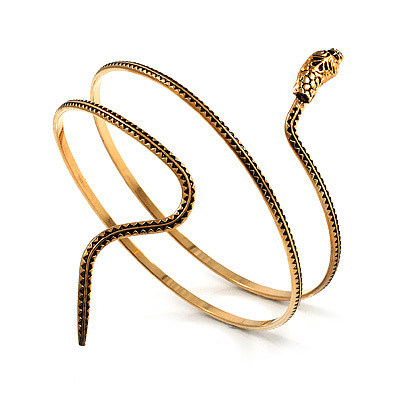 Having a beautiful jewellery on your upper arm will certainly award you loads of "beauty points" and attract many compliments from both men and women. 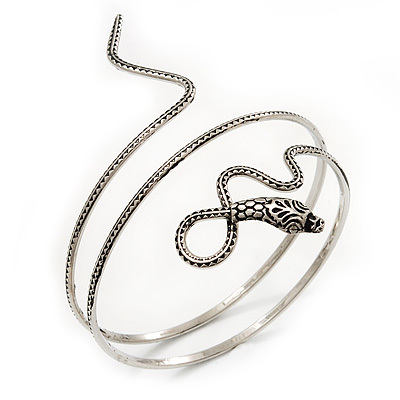 The most popular Upper Arm Bracelets are shaped like snakes and come in silver or gold colours. 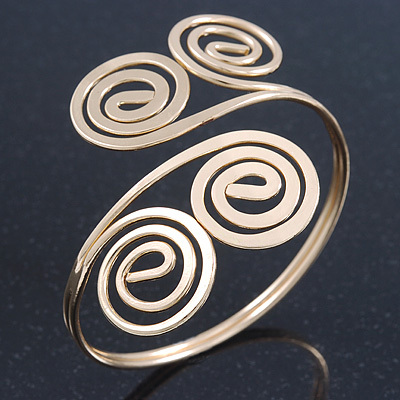 Other popular shapes feature abstract flowers, hearts, leaves and twirls. 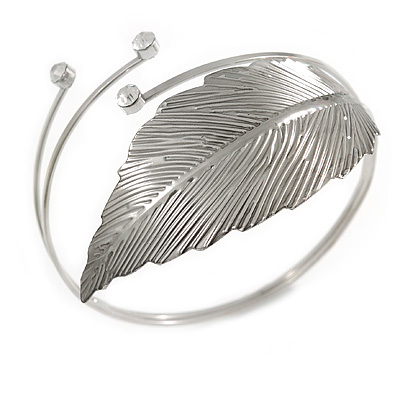 Some armlets do not have any stones in their designs while the majority do have a few Swarovski crystals or cubic zirconia (CZ) gems. 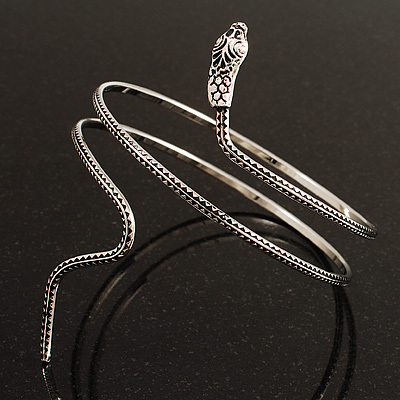 Avalaya offers a great choice of gorgeous Armlets which are in stock and available for an immediate dispatch. Order yours today!